Southampton, 13th October 2016: Oceania Cruises has launched a reduced single supplement promotion for solo travellers. The market leading upper premium cruise line will offer guests single supplements fares starting from 25% on seven fascinating itineraries, booked before 31st December 2016. The offer is valid for selected accommodation on five cruises in the Caribbean on board Regatta and Marina; and also a transatlantic sailing and a Mediterranean cruise on board Riviera. All three ships included in the promotion serve guests The Finest Cuisine at Sea™ and also include fantastic amenities as part of OLife Choice with free internet and a choice of free shore excursions, free shipboard credit or a free beverage package. Celebrate the Sunshine on board Regatta sails for 12 nights from 5th November 2016, roundtrip Miami visiting Puerto Rico, Antigua, Martinique, Barbados, Grenada, Castries, and St. Barts. A Deluxe Ocean View Stateroom is priced from £3,324 per guest and includes a reduced single supplement of just 25%. This sun-drenched cruise includes all meals on board and as part of Oceania Cruises’ OLife Choice promotion, free internet plus one of either three free shore excursions (per guest), $300 shipboard credit (per guest) or a house select beverage package. Tropical Tempos on board Marina sails a roundtrip Miami cruise and discovers Key West, Belize, Honduras and Mexico. Cruising from 18th February 2017 for seven-days, the price of £2,924pp for a Concierge Level Veranda stateroom includes a reduced single supplement of just 25%, all meals on board and as part of Oceania Cruises’ OLife Choice promotion, free internet plus one of either two free shore excursions (per guest), $200 shipboard credit (per guest) or a house select beverage package (per guest). Divine Classics on board Riviera sails from Athens to Barcelona on a classic 10-day Mediterranean voyage on 9th April 2017 and visits spectacular ports in destinations such as France, Corsica, Italy, Malta and Greece. 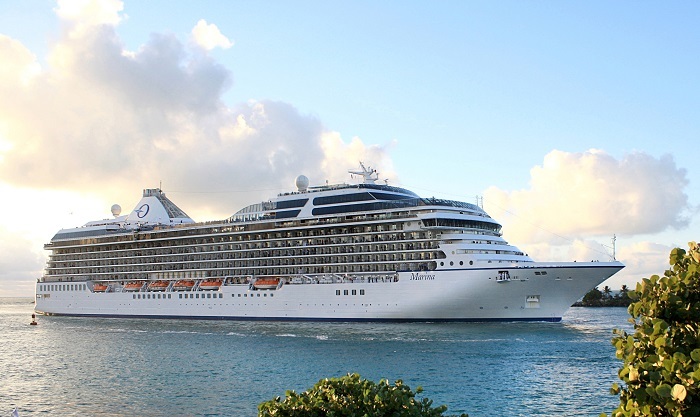 The cruise includes all meals on board and as part of Oceania Cruises’ OLife Choice promotion, free internet plus one of either three free shore excursions (per guest), $300 shipboard credit (per guest) or a house select beverage package. A Concierge Level Veranda stateroom is £3,944pp and includes a reduced single supplement of just 50%.